Rapper Lil Pump miraculously found his expensive bling that he lost while swinging at Topgolf. 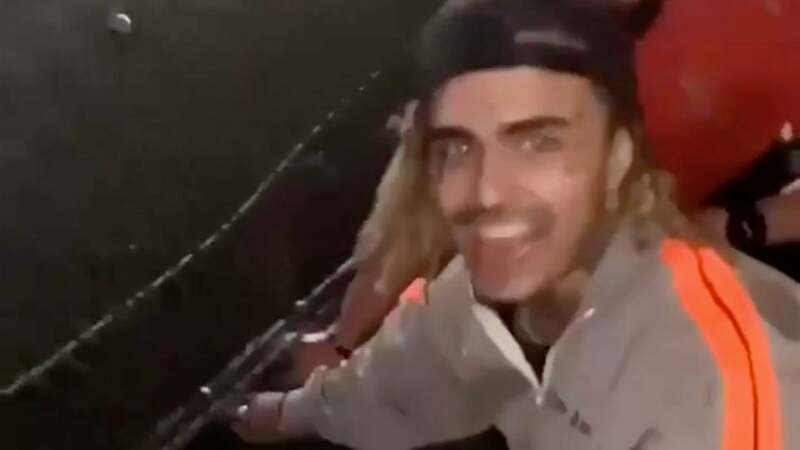 A trip to the Topgolf in Miami on Friday night almost turned disastrous for rapper Lil Pump, as he nearly lost a $100,000 ring that came off his finger when teeing off. It resulted in the rapper and the Topgolf staff searching the driving range for his missing ring, as evidenced below. A member of the Topgolf staff found the expensive bling nearby the nets that surround the driving range, as the ring traveled a fairly good distance on Lil Pump’s swing. The rapper thanked the Topgolf staff on Twitter for helping find it. Oh, and if you’re wondering how Lil Pump’s swing is, take a look for yourself. Warning: It’s pretty bad. Despite what his caption says, Lil Pump is far from being Tiger Woods. The rapper’s lost ring incident is a friendly reminder to all golfers, whether at Topgolf or out on the course, to leave the jewelry behind while playing.